NEW! Our grid copy puzzles are a test of concentration, observation and pencil control - but they are also quite a lot of fun! This weather-themed collection includes all the familiar weather symbols as well as a few simple weather-related pictures like a cloud and umbrella. Children will need to copy carefully - but if they do so they will end up with their own cloud picture in the right-hand grid! Can the kids copy this picture of a cloudy weather symbol from the left grid to the right, one square at a time? Our grid puzzles are great for practising pencil control and concentration skills. Here's a picture of a hail weather symbol for the kids to copy. Counting the squares carefully and drawing one square at a time can help. Copy our picture of a rainbow weather symbol from the grid on the left to the grid on the right - quite tricky! Then you can colour in both rainbows too! See if the kids can copy our picture of a sleet weather symbol, using the grid to help them. Careful drawing and concentration required! 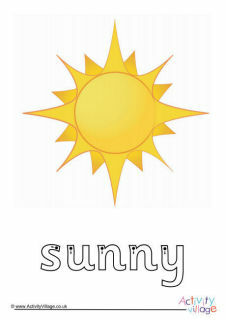 Carefully copy this picture of a sunny intervals weather symbol one square at a time and watch the picture unfold. Copy our picture of a sunny showers weather symbol by using the grid, one square at a time. This is a great activity for building concentration and drawing skills. Can the kids copy this thunderstorm weather symbol from the left-hand grid to the right? It's quite tricky! Our grid copy pictures are a fun way for kids to learn to draw simple pictures - and they involve careful counting, pencil control and copying skills too. Here's a lovely umbrella grid copy to try. The children might enjoy colouring in both umbrellas once they've finished copying too! See if the kids can copy our picture of a windy weather symbol from one grid to the other. It's quite tricky so they'll need to concentrate to finish the task!